A fatal accident involving a Tesla Model S on Autopilot and a tractor-trailer, which is just now coming to light but happened last month, prompts a preliminary evaluation by the U.S. National Highway Traffic Safety Administration (NHTSA). The evaluation will determine whether the system worked according to expectations and it is the first step before an investigation which could theoretically lead to a recall. In its statement, the company is again making the case that drivers should always monitor the vehicle and the road while using the Autopilot. “On May 7 at 3:40 p.m. on U.S. 27 near the BP Station west of Williston, a 45-year-old Ohio man was killed when he drove under the trailer of an 18-wheel semi. The top of Joshua Brown’s 2015 Tesla Model S vehicle was torn off by the force of the collision. The truck driver, Frank Baressi, 62, Tampa was not injured in the crash. The FHP said the tractor-trailer was traveling west on US 27A in the left turn lane toward 140th Court. Brown’s car was headed east in the outside lane of U.S. 27A. 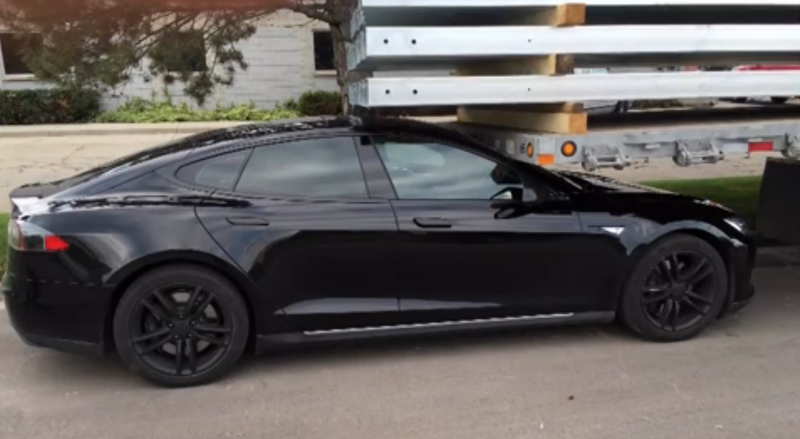 We now learn that the victim was Joshua Brown, an active Tesla community member, who just a month prior to his accident, credited Tesla’s Autopilot for saving him in near miss caught on video.